In need of a snazzy sandwich and wrap recipe? Now the fun part is you can really do whatever you want and not go wrong. so pretty much whatever is – shockingly – in our fridge/freezer. Chop up and/or cook/fry all ingredients you want to use and put it in a bowl. 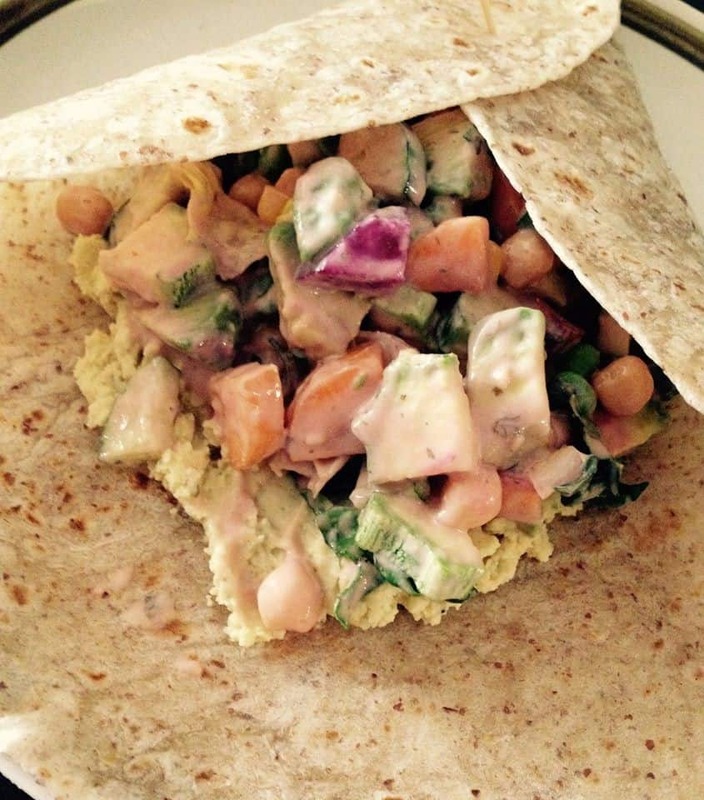 Lay down wrap on a plate and spread a generous amount of hummus on it. Put your mix in, wrap it and enjoy!